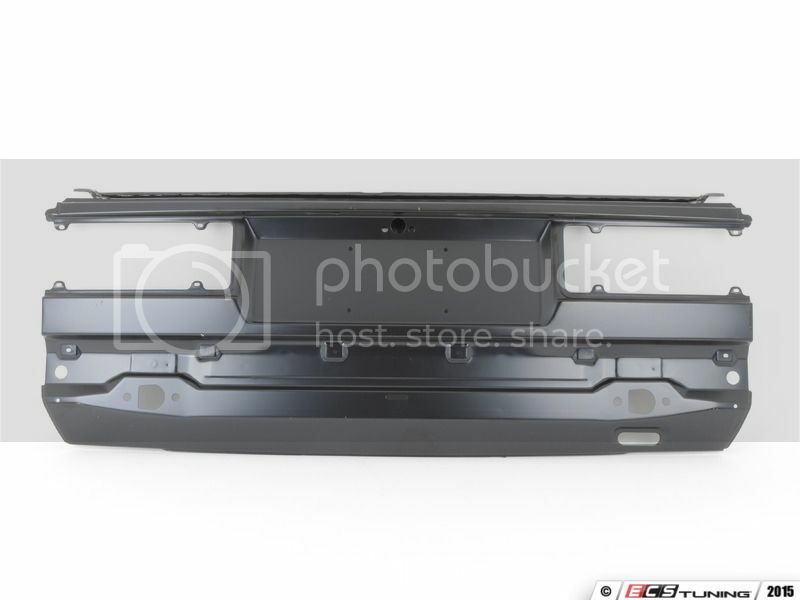 Looking for a new front bumper. Got hit a few years ago, want to get everything looking great again. Also looking for a rear panel, where the license plate goes on, got hit about 10 years ago, repair wasn't perfect, rust has set in, want to replace top of trunk to trunk floor panel. I dont have anything you are looking for, but please please please do not use the stock jack to lift the car. Its not safe at all. I had a flat and tried to change the tire, but the jack kept rolling off. I need it for emergencies, I have a full hyd jack in my trunk right now. I have an extra bumper but it's in storage. I will get it out in the next two weeks, get pictures, etc. 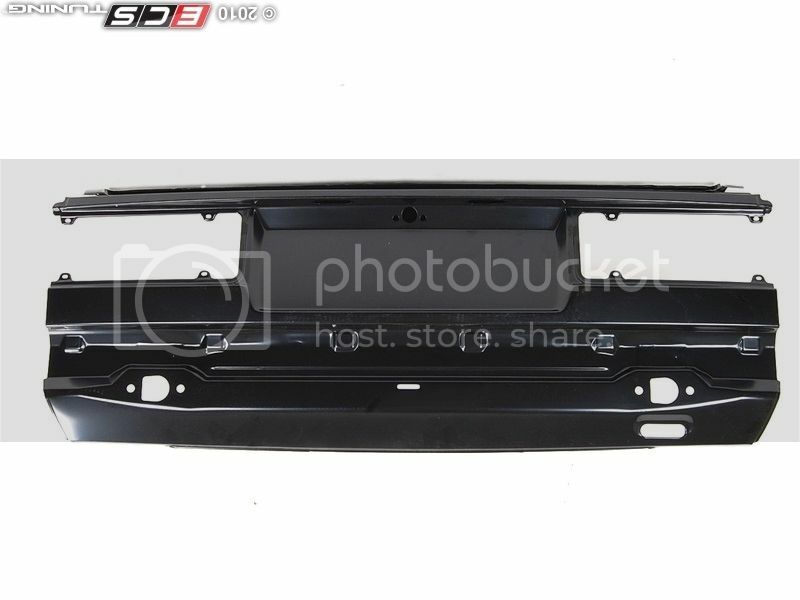 I am still looking for a rear body panel. My car is at the body shop, but I can't find a new panel for them to install. Does anyone know where I can get one? I will probably treat the rust now and wait until I find a panel..
ECS doesn't have any in stock. The part is on backorder from Germany. I'm waiting for one as well. I ordered one last August and still nothing. says ships May 15? what are the chances? Chances are zero I'm afraid. BMW aren't likely to be able to supply them anytime soon either. Your best bet is to find a used one (this is what I just did and had it blasted to bare metal) or use an early cabriolet panel and modify the exhaust cut-out to suit the M3 tailpipes.